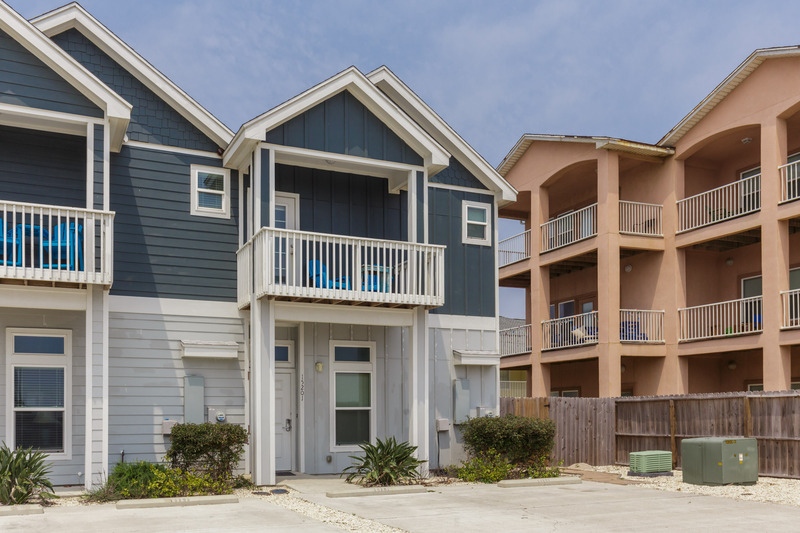 Address: 15201 Beach Way Drive Location: Corpus Christi Type: Townhouse View: Beach View Area: 1305 Sq.Ft. 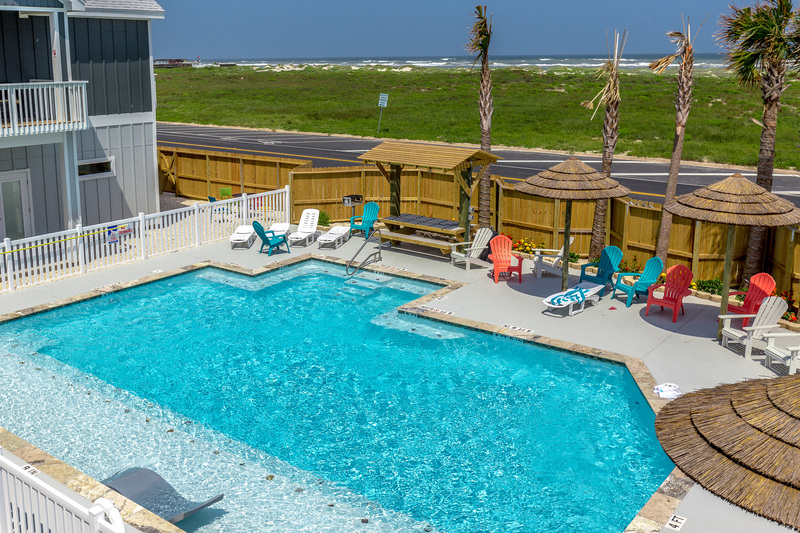 When I got to searching for a place that would accommodate my family for a vacation - I came across Padre Escapes. This was just perfect fit our family. It was roomy enough that we could spread out - nice size kitchen to cook breakfast & dinners. Bedrooms & bathrooms were good size. The rooms were decorated really neat too. Beds were compfy and best of all - We were right across from the beach! Walking distance. The ease of booking & reserving was simply the best! Excellent customer service. We will be planning our next summer stay though Padre Escapes & would highly recommend them to anyone. Thanks for the feedback, we look forward to having you back again soon! We had a wonderful time together as a family. We had an air conditioned area to be together after a fun time on the beach, a kitchen to prepare a few meals and a TV to keep the kids occupied occasionally. We enjoyed the pool and even used the grill at the pool one night.The beds were comfortable. Maintenance very responsive to our needs. Enjoyed our stay. 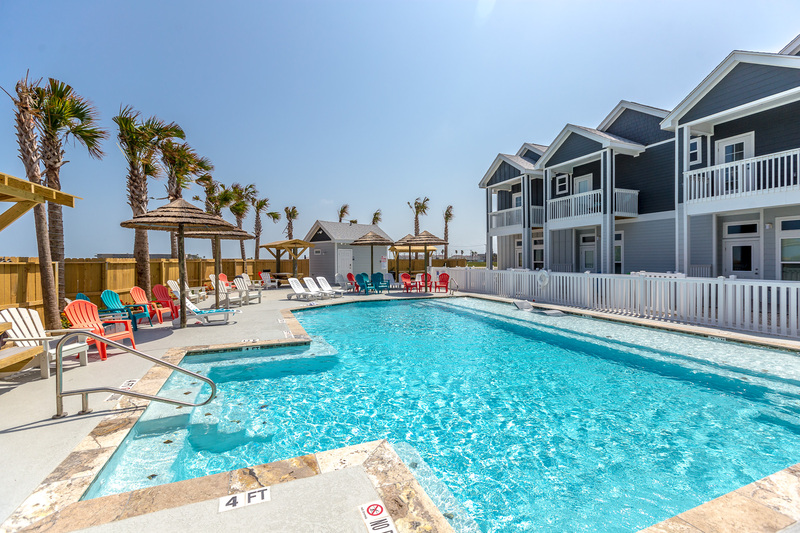 There were seven adults staying at Padre Beach View 201K and it felt spacious and relaxing. The location was great, within a short walk to the beach. The facility was clean, comfortable, well stocked with dishes and supplies. It was the easiest check-in and check-out I have every done. The Condo was very clean. Plenty of room for our family of 11. Grandkids enjoyed the pool. We were so close to the beach, we rented a golf cart and had a blast. The private patio was so nice for entertaining and the outdoor shower came in very handy coming in from the beach. Great to hear you and your family enjoyed it so much! The extended patio and outdoor shower are great features of this property. Thank you for the feedback, we look forward to having you again. This was the first time our whole family was able to get away for vacation at the same time and we were anxious about staying somewhere sight unseen. We were pleasantly surprised when we arrived to find that we absolutely loved it! The only complaint I would have is that the floors had not been mopped. When we took our shoes off our feet were black from walking on the floors. Other than that, the place was awesome. We had a blast and hope to be back soon. We certainly apologize for the floors not meeting our standard. We will address it with our cleaners and make sure it is better going forward. Thank you for the feedback. Excellent !! Fun, great weather! Great sleeping arrangements .. Plenty of room space!! Kids did NOT want to leave !!! 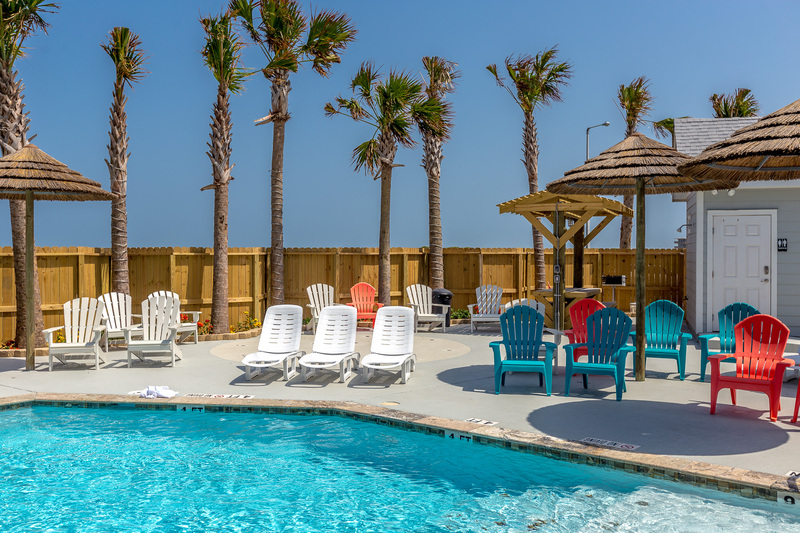 I brought 3 generations of my family to a North Padre Island escape. 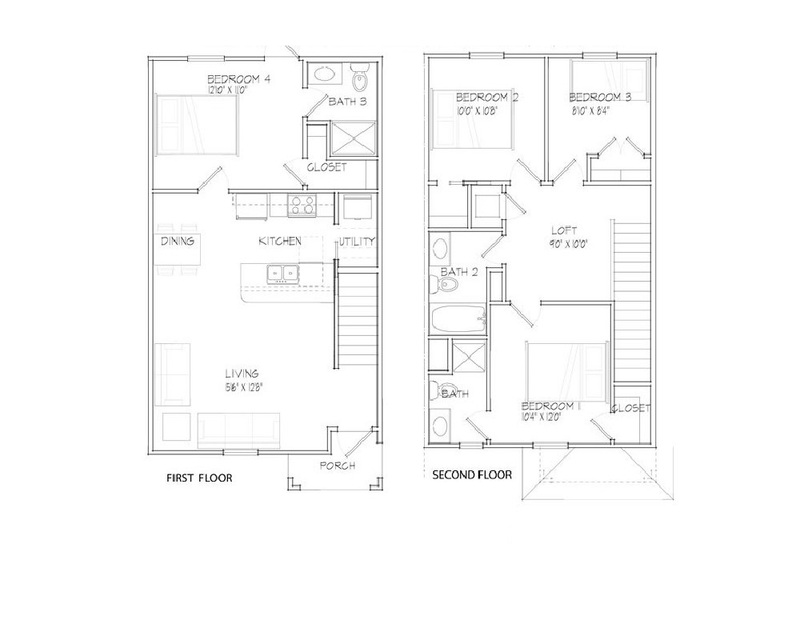 This unit had room for everyone and it was nice to have a full kitchen to use. the big surprise was the large enclosed back patio where we could all hang out. The pool area was nice and we just walked to the beach when we wanted to. We were a group of 8 and booked a 2 night stay over Thanksgiving weekend. This property accommodated our large group perfectly. It is a great location. Would love to come back here in the summer, as it is the perfect beach goer property. Glad to hear you enjoyed your stay so much, we look forward to having you back again soon. We brought the family together for the weekend. This townhouse was great for gathering everyone together. Plenty of room, space to "chill out" and super close to the beach. We would stay here any time!!! Had a blast staying in your rental. It was a great time and very comfortable. Cute place, good location. It was not cleaned. Ants everywhere! Ants in sofa sleeper, all over the kitchen floor and table. Ants on the loft area and ants in the bedroom- all over the bed. The first night we had to clean and wash sheets and towels due to the crazy ant problem. Management company did call us back and after numerous times of asking for compensation they did give us a discount. In my opinion it was not generous enough. We had to purchase a air mattress due to the ants so most of the discount just covered that. Not impressed and will not return. Check in and out process very easy. We appreciate your feedback and we're certainly disappointed in your experience and apologize for the issues you encountered. That is nowhere near the normal standard we maintain for our properties. We did go by the night you called with ant spray and sent multiple staff members by the following day with replacement sheets and blankets. We also had pest control go out the very next day. After the bad experience of your first night we had your credit card refunded for part of your stay the very next day. We sincerely apologize for the disappointing experience you had but we did make every effort to redeem this disappointing experience and have tried contacting you since but have not received a response. Once again I apologize for the disappointing stay but we certainly appreciate your feedback, it will help us improve out properties and services for future guests. Over all the condo and the property were very well maintained and the location is excellent. Our only problem really came from the Red Tide that we experienced. The air would literally make us cough and no one could go to the beach as a result, also the smell of dead fish was in the air which was very unpleasant. Unforfunately when we found out we could not cancel or move the trip because we had not purchased travel insurance from a third party insurance company. I think in certain situations exceptions should be made, but we made the best of it and atleast the place was nice. We apologize for the inconvenience with the red tide. It is a issue that we occasionally have to deal with but it's usually only a couple weeks and it's already gone for the year. We hope to see you back again soon. Even though it rained on us all weekend, we had a great time! The property was wonderful! We can't wait to book this spot again - when there is sun! The property is fantastic. Close to the beach, plenty of room, and great pool area. Padre Escapes really makes a difference, I will use them from now on. Great to hear you enjoyed your time! Hope we see you back again soon! Check in and out was very easy. The property was well maintained and clean. We had a fun and relaxing week! 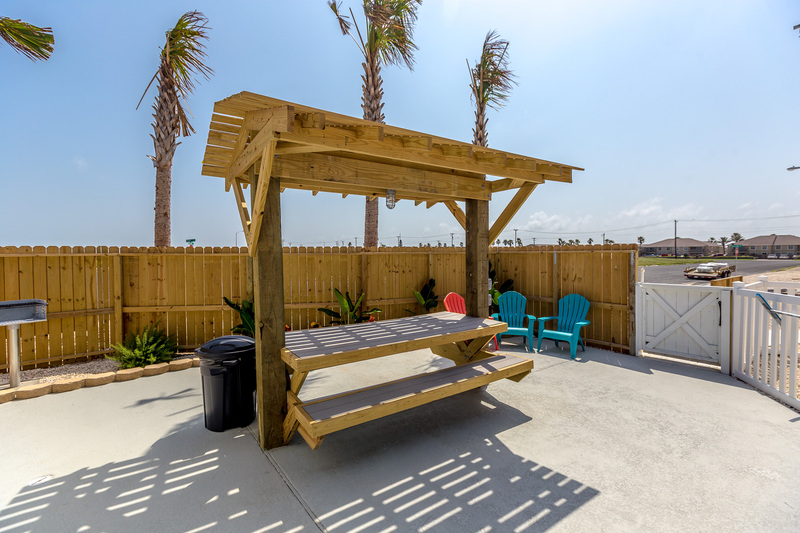 I've loved all the condos I've rented from Padre Escapes! 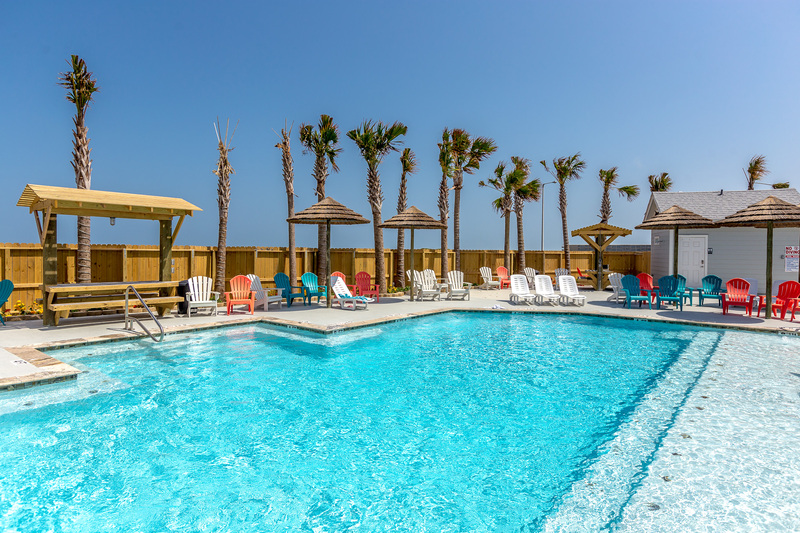 The condos are beautiful, affordable and close to the beach. Thank you for your feedback, hope we see you again real soon. This property was great! We had a corner unit which gave us a very large outdoor space with a shower. While not right on the beach, the walk was very quick and easy. The property was perfect for our needs! This was a great rental. Extremely clean and we'll maintained. Close to the beach and pool. Will definitely rent again. Great to hear you enjoyed your stay! We look forward to having you back again soon. We had a great time @ Padre island visiting family, friends and we were all together. We walked to watch the sunrise & sunset enjoying the warm weather of the gulf. 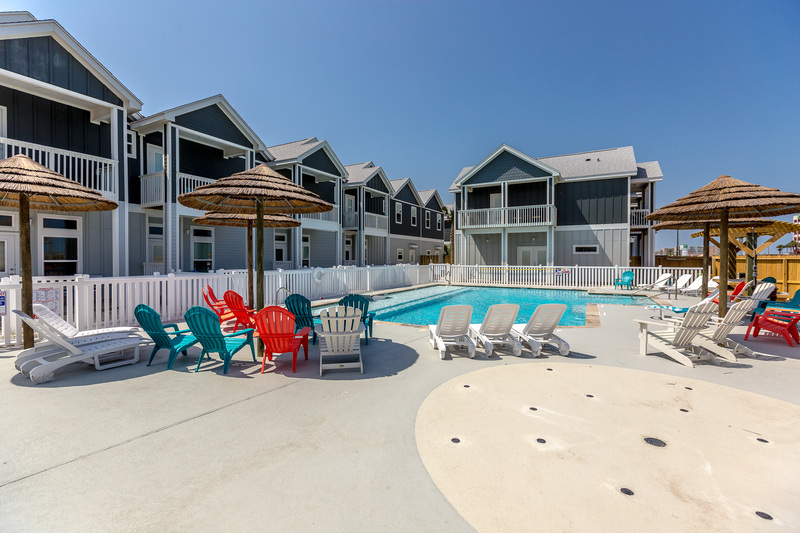 The townhouse meet our needs close to everything, food restaurants and the beach. I had no problem with booking on line a received a phone call on the day of our arrival. The property owners had a 24 hour service which was good. Some vrbo's we would have to wait hours or the next day. The property was in great condition and had everything we needed. There were smart TV's in common areas, free wifi for streaming movies, and PS3 w/ games for your enjoyment. The kitchen and washer had what was needed to prepare meals. More importantly this place is walking distance to the beach. Checkin-out took seconds and management response to questions were prompt. They have an app the is very useful with points of interest and weather in the area. This is probably one of the best units we have stayed in with Padre Escapes. However, the floor was extremely dirty upon arrival. More time needs to be spent cleaning the unit. Thank you for the feedback, we apologize for the floor issues. It can be difficult to keep those floors clean being that close to the beach but we will address it with the housekeepers. Hope we see you back again soon. Overall a great experience. We had a late check in because the property ws not ready at 4, but the management extended our check out time so all was good. Very nice location, we loved out stay. This rental is beautifully decorated, and well stocked with everything we needed. The beds are VERY comfortable and this unit is one of the few I saw that did NOT have bunk beds (since we were all adults that rented the unit, this was perfect). The top unit has a small balcony from which you can see the ocean. Very please and will definitely stay again. Convenient location. Exceptionally clean townhouse. Very spacious. Wonderful and well maintained townhouse. Large bricked private patio in back. Upstairs master balcony has direct view of gulf beach. Great amenities throughout. Definitely recommend. The customer service was absolutely outstanding. The property itself was better than described. Clean and updated, and its in a great location just a short drive or walk from the beach. I plan on staying here again when we come down to the coast.